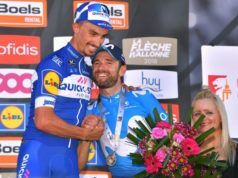 Julian Alaphilippe (Quick-Step Floors) turned on the style to secure his maiden Tour de France stage win on Tuesday as Greg Van Avermaet (BMC) stubbornly held on to the yellow jersey. 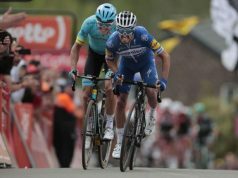 Alaphilippe launched an audacious lone attack on the third and penultimate climb and went on to solo over the finish several minutes ahead of the main peloton after a first day in the Alps marked by a yellow jersey truce. 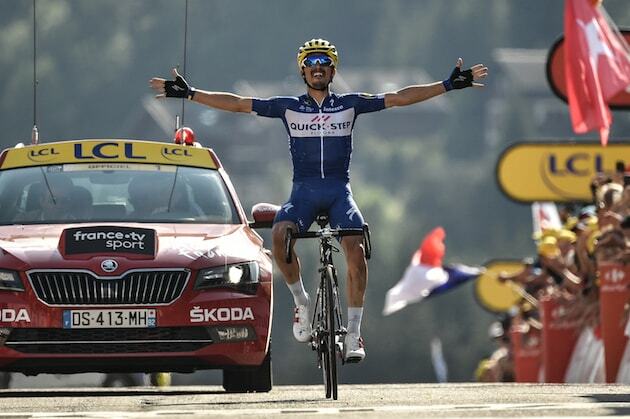 Van Avermaet appeared under threat at the beginning of the 158.5 km race from Annecy featuring four categorised climbs and with a downhill finish into Le Grand Bornand. 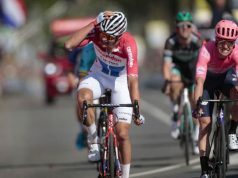 But the wily BMC rider exceeded expectations, joining an early breakaway that went on to build a healthy lead on the main peloton to stymie whatever plans Sky may have had of taking control of the race. 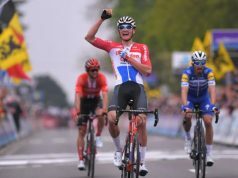 In the end, Van Avermaet produced a fantastic performance to finish 1min 43secs behind Alaphilippe, Thomas, Froome and Team Sky trailing over the finish over three minutes behind the stage winner. 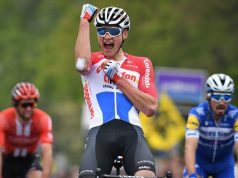 In the overall standings Van Avermaet now leads Thomas, in second, by 2:22, with Alejandro Valverde (Movistar) now up to third overall at 3:10. 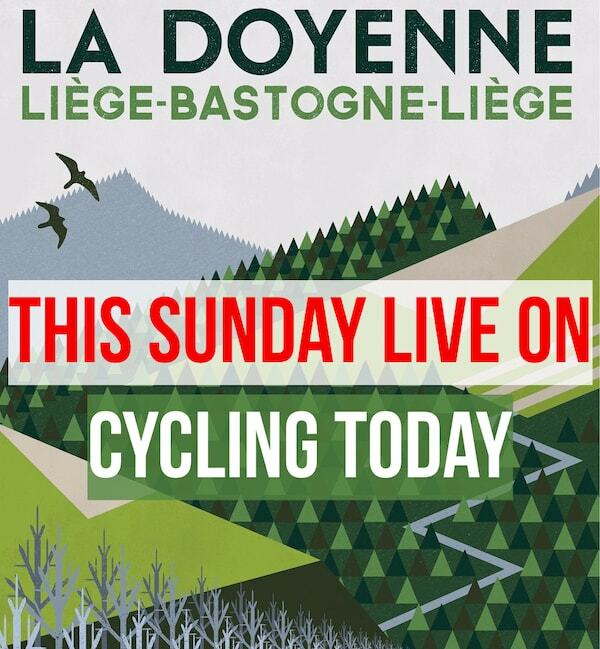 The 11th stage, held over 108.5 km between Albertville and La Rosiere, features the first summit finish of the race. The third and final day in the Alps is on Thursday when sparks are expected to fly on the 14km climb, over 21 hairpin bends, to the summit of Alpe d’Huez.